Let’s roll back the video tape! With UFC 207 coming to a close late last night (Fri., Dec. 30, 2016), featuring the disastrous return of Ronda Rousey — who was finished via technical knockout in just 48 seconds by 135-pound women’s champion Amanda Nunes (watch highlights) in the pay-per-view (PPV) main event of the evening — company president Dana White gathered the star-studded cast and crew inside the bowels of T-Mobile Arena in Las Vegas, Nevada, to break down all the mixed martial arts (MMA) action. Indeed, it was another incredible night of UFC action (complete UFC 207 results here), closing out 2016 with an exclamation point. Watch Nunes, (not Rousey), Dominick Cruz, Cody Garbrandt and T.J. Dillashaw, among other stars from the promotion’s year-end Friday night special, take the dais to wrap UFC 207. 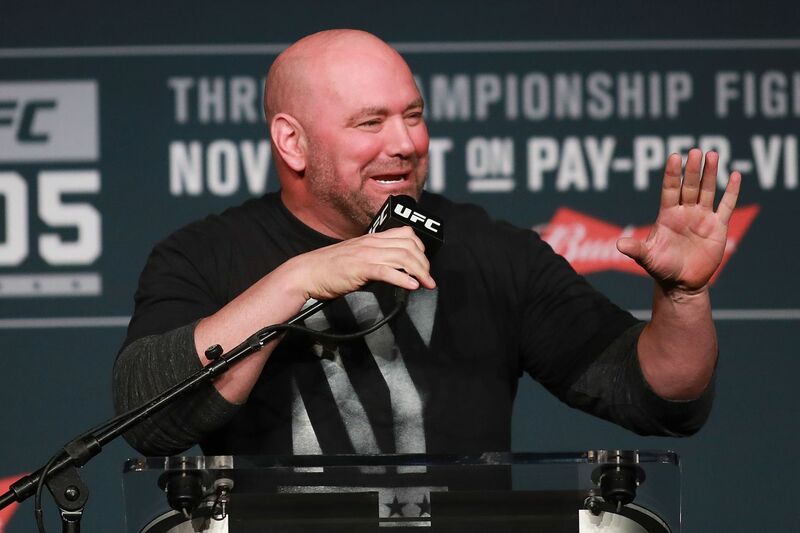 Company president Dana White did not emcee the post-fight show — he was busy talking to FOX Sports 1 and consoling a “devastated” Rousey back stage. For complete results from UFC 207: “Nunes vs. Rousey,” including play-by-play updates, click here and here.